Claire was so excited and emotional that started to put spell-posts and cyber-chickens everywhere!!! Meanwhile here some music and gossip about our artists. We couldn’t decide beetween vinyls-computer-vinyls-computer-vinyls???computer??? – So…. …we directly called a couple of drummers, a lot of friends and great musicians-djs and decided to go over it! 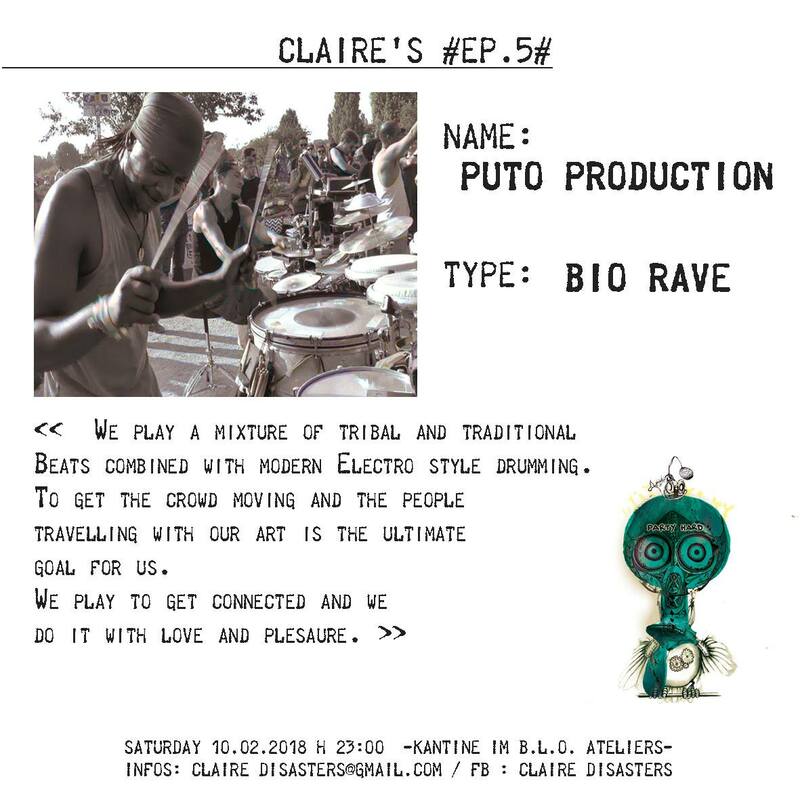 „We play a mixture of tribal and traditional Beats combined with modern Electro style drumming. To get the crowd moving and the people travelling with our art is the ultimate goal for us. One Puto in incognito° Shhhhhhh! 5′ V E V E • J U J U -beware of ?